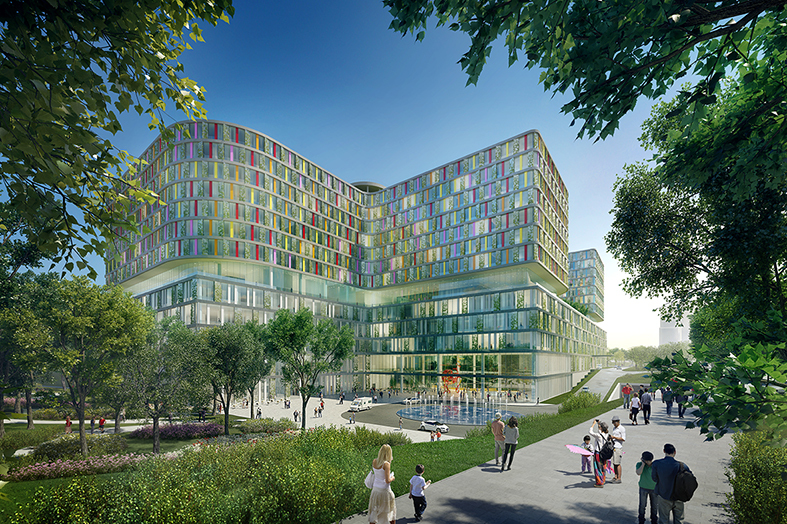 The new Shenzhen Second Children’s Hospital will become a full-service hospital in Shenzhen. A children’s hospital needs more functional space, more variation possibility, more flexibility, more communication spaces, better sense of direction and more entertainment spaces. 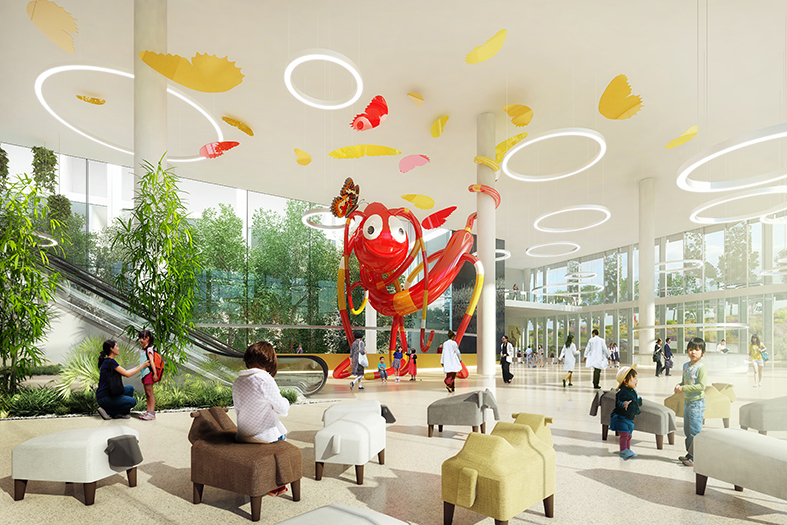 The design of the children’s hospital reflects the specific needs of children in a hospital. The new building offers more space, because young patients are always accompanied by family members. Furthermore, a variety of station types are provided to meet changes in the patient’s requirements with age, from babies to young people. In comparison to adults, children also require more security, so the new building offers a relaxing environment characterized by visually interesting waiting areas and easy orientation. The elevation changes in the site are used effectively to divide the building into a plinth and a tower area that houses nursing care. Patients and residents who approach the hospital entrance on the lower level are greeted by a friendly building height. The building’s mass is further reduced by interior courtyards in the nursing, diagnosis and treatment units. The courts provide generous daylight, ventilation and landscaping, supporting patient recovery and creating a pleasant work environment for the staff. 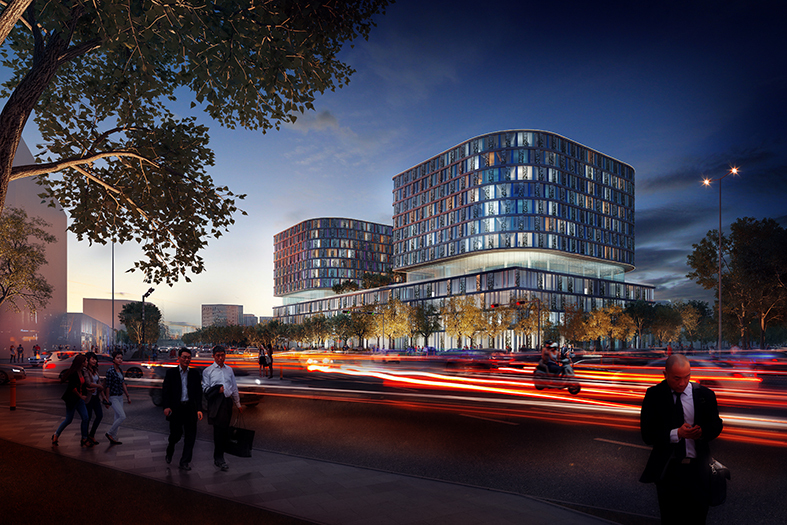 In addition, the hospital improves the vitality of the neighborhood through the design of open space and the diverse choice of cafés, businesses and public facilities.